Finding an affordable life insurance policy with Gestational Diabetes can be quite the challenge. Can People Who Have Gestational Diabetes Be Approved for Life Insurance? Yes, most individuals with Gestational Diabetes will be able to qualify for traditional life insurance, the type of insurance which requires a medical exam. Best Case Scenario – A “Standard” rating can be given only to a woman who is not currently pregnant even when she has a history of Gestational Diabetes. It would, however, be important to determine the complications that arose during the pregnancy. Otherwise, if there were no serious complications such as seizure, then regular rates will apply. Click here for quote at “Standard”. 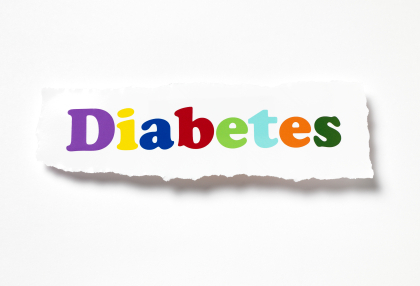 Severe Case – A woman who is CURRENTLY PREGNANT and who has a previous history or has been recently diagnosed with Gestational Diabetes will get an automatic decline. With women who have had a history of Gestational Diabetes, but is not currently pregnant may qualify for a Standard life insurance coverage. 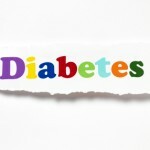 Have you been diagnosed to have Diabetes before pregnancy? Diabetes that is diagnosed before pregnancy is easier to manage because of the existing history of the disease. Gestational Diabetes, on the other hand, is difficult to manage because of the fluctuating glucose level that poses a higher risk to the woman and the baby, which is why it gets a decline. If you have a history of Gestational Diabetes, but is not currently pregnant, the chance of getting a Standard rating is high. If you, however, are pregnant at the moment you will have to wait for the pregnancy to be over or you will get an automatic decline. Do you have a current check-up with your endocrinologist? Your doctor’s medical evaluation will be the most accurate means to assess your actual health condition. This will be used by the insurance company to determine an appropriate rating class. Recent laboratory tests like FBS, RBS or OGTT will confirm your blood sugar levels and will also ratify your compliance with your physician’s management. Gestational Diabetes or GDM is a condition caused by glucose intolerance during pregnancy that leads to markedly increased blood sugar levels. This is most commonly observed during the third trimester, and is caused by the hormonal and metabolic changes of pregnancy. The symptoms of GDM are usually determined by a screening test for blood glucose and an OGTT (Oral Glucose Tolerance Test). The most common complication of Gestational Diabetes is an infant born that is exceptionally large. This poses labor and delivery complications to the mother, which in some rare cases may even cause pre-eclampsia, eclampsia or even death.